I thought we were past this but apparently not. Now that Paul Feig’s Ghostbusters film is coming to digital and Blu-ray next month, reports have started to circulate that the title has suddenly been changed. This isn’t true—mainly because the film’s real title was Ghostbusters: Answer the Call even before it was released. 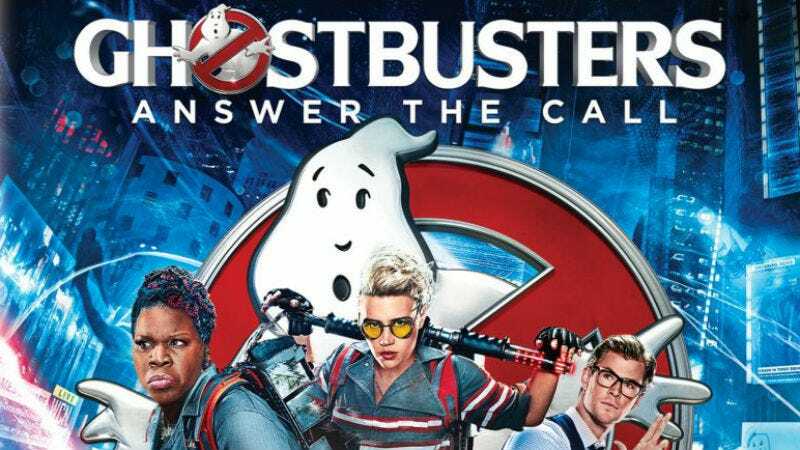 If you saw the film in theaters, you may have noticed the end credits clearly refer to the movie as Ghostbusters: Answer the Call. And there’s a very simple explanation. If it makes people feel better, “Answer the Call” wasn’t always part of the film’s title; early marketing materials just called the film Ghostbusters. But as the release got closer, it was quietly changed by the studio and started showing up in commercials and posters. So, that’s that. There’s no conspiracy theory. The movie has been and is still called Ghostbusters: Answer the Call for cataloging purposes. That doesn’t mean we have to call it that. You don’t call Raiders of the Lost Ark by its official title, Indiana Jones and the Raiders of the Lost Ark, right? You don’t call Birdman it’s full name Birdman or (The Unexpected Virtue of Ignorance) every time, right? This kind of thing happens.